Expo sponsors: Visit the stand to find out more about the borough’s business support provision, the Kingston Futures programme and further plans to grow the local economy. As a highly regarded provider of FE and HE Kingston College has a reputation for developing innovative and dynamic training and development solutions for a wide range of public and private sector employers of all sizes,from SMEs to large multinationals. The Employer Services Team understand the importance of working with employers to meet their business challenges. Together we plan a responsive, flexible and timely training solution that meets agreed objectives. We’re passionate about helping ambitious businesses to succeed. Building long-lasting relationships with SMEs runs deep in our heritage. We’ve come to know and understand the needs of our customers, which has helped us to appreciate the challenges they face and the support they need to overcome them. Let us help your business break through. We love helping grow local businesses and make them profitable. Kingston Burrowes Accountants is a professional local accountancy practice dealing with all your business and personal accountancy needs. We can help with bookkeeping and payroll services and can also advise on specialist areas such as Research & Development claims. Through Kingston Burrowes Finance, we can also provide Commercial and Business Finance to SME clients throughout the whole of the UK, offering a fully managed and professional service to secure the most competitive funding offer available from the entire market. Shine Workplace Wellbeing can enhance your team’s health, happiness and productivity. We work closely with key stakeholders at companies that want to improve their employees’ wellbeing and we introduce easy-to-follow plans and practices or develop existing strategies. We use government-backed standards to help workplaces achieve good standards and assist them to become recognised for their commitment to their staff. The SAS Business Box is an online service that helps Start ups and small business owners. The Box makes it easy to understand business jargon and quickly gain the knowledge you need, to help you make crucial business decisions successfully. WSM is a top 100 UK chartered accounting practice delivering professional services in it’s specialist fields. The firm is primarily driven by its UK taxation services which are provided to clients who are looking for an advisor with knowledge to navigate the UK’s complex tax systems, Alongside their taxation services the firm offers accounting, audit, insolvency, due diligence and consulting services. McDonalds Restaurants are well know for their food offering but did you know about their amazing career opportunities and commitment to employee training and development? Come and meet some of the local team. Currie Motors Business Centre offers finance solutions designed to suit businesses of all sizes. We work with customers across London and the Home Counties and will help you overhaul your entire business fleet. We are hybrid experts and commercial vehicle specialists. Take a look at their cars parked outside the main entrance to the business school. Have you ever wondered what happens to your cash when you spend it in Kingston-upon-Thames? Well most of it (80-90%) leaves the borough within a day, then leaves the county and a lot of it leaves the UK – untaxed! Imagine if we could keep some of the money circulating around the Kingston Borough, what could that mean for any struggling independent businesses? If we commit to using Kingston Pounds as part of our weekly spend we will be taking control over what our money is doing and we will be investing in our own town and community. Local charity Love Kingston is the K£’s charity partner for 2017 meaning they will receive 1% from every K£ transaction. We help solve your people problems! Trying to recruit a key person? Do you have a compliant contract and handbook? Are your team motivated and productive? Do you have any conflict, absence or conduct issues with your team? Come and talk to us, we can help. We offer outsourced HR services to lots of local SME business owners to protect and enable their business and let them get on with what they do best. Holiday Inn London – Kingston South AA 4 star hotel provides the perfect combination of comfort and convenience for all your travel needs. The hotel offers you the most contemporary venue for conferences and events, with diverse spaces required for varied meetings which can accommodate from 10 to 250 guests. From board meetings to formal ball functions, our venue is perfect to host your prestigious event. IQ in IT is a cutting edge Cloud IT provider offering cloud based services on demand with a personal touch. Our key products are Virtual Desktops and Virtual Servers which let you work from anywhere and from any device securely, Cloud (VoIP) phones packed with a lot of features like email contact sync, conference rooms, call queuing, real time sales statistics and a lot more. We are passionate about technology and always looking to provide new and better services to our clients. Our goal is to provide reliable best practice services and support to ensure our customers are satisfied with their IT. IQ in IT is dedicated to meeting our customers’ needs without compromising the quality of our work. We understand that no two businesses are the same and so tailor our solutions to your business’s individual needs. Expo sponsors: HSBC Bank plc is one of the largest banking and financial services organisations in the world. Meet your local HSBC team will be on hand to discuss their services for commercial banking customers. Meet the NatWest business banking team and our partners Worldpay. We are here to help you with your banking and payment solution needs. Minutes from the hustle and bustle of downtown London, you’ll find our DoubleTree by Hilton Hotel London Kingston upon Thames. Unwind in this newly constructed gateway with floor-to-ceiling windows providing plenty of refreshing natural light. Enjoy the history and heritage of Kingston upon Thames with the city centre and local dining favourites all within walking distance. Let our friendly team welcome you with our signature chocolate chip cookie. Organisers of the Kingston Business Expo. Kingston Chamber is one of the largest independent chambers in London. Find out more about our membership organisation, networking, training, advice and development opportunities. Win a year’s membership of the Chamber with their photo-booth competition and find out about their latest offers. Don’t forget to pick up your copy of the latest Borough Business magazine. 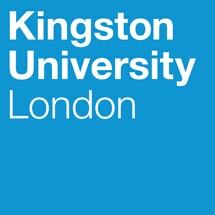 Event Partners and Venue Hosts: Kingston University is an innovative and enterprising university and is number one in the UK for graduate start-ups. Businesses can access the expertise of our staff and students across many disciplines and through activities such as research and consultancy services, postgraduate courses and business-focused training and development, and graduate recruitment opportunities. Find out more about the Town House regeneration project on the Penrhyn Road campus. Metro Bank is a community bank, with each store run by a local bank manager. Its model is based on providing amazing customer service and convenience and providing business customers with a personal relationship manager, innovative banking products and amazing technology. Open 7 days a week, early and late, with no appointment necessary isn’t it time you joined the revolution?! Lead Forensics can identify your anonymous website visitors that don’t enquire, turning them into actionable leads – in real time! Richmond and Hillcroft Adult Community College has two campuses – one in Richmond and the other in Surbiton – offering education opportunities to adults. Courses include Access/qualification courses, and leisure options in a wide range of subjects. If you need branding, a website and marketing support for your startup or owner-managed business, you’ve come to the right place! Our friendly, local team love positioning our clients as the experts they are, helping them target and reach the perfect prospective customers who will make their business grow. Ask about our our affordable, small group START Marketing Meetings and our Marketing Review & Reboot. •Provide funding solutions for acquisitions, MBO’s, MBI’s & other needs. Staxoweb is a digital agency based in Richmond upon Thames. We work with clients who include SMEs and Corporates on branding, design, website, and digital marketing solutions. We have an in-house team of experts, including developers, designers and marketing professionals. Our success is built on technical innovation and quality implementation. The FSB is the UK’s Leading Business organisation. It represents members’ interests, lobbying every level of government in every part of the UK. Formed in 1974, the FSB has approx 200,000 members across 30 regions and 200+ branches. 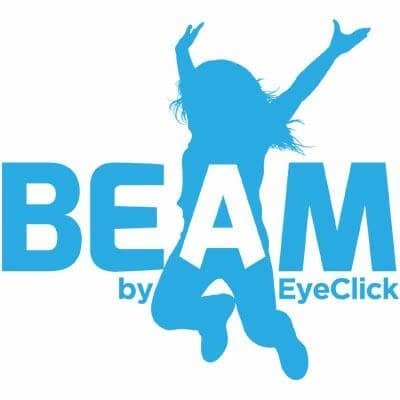 greatvideo.co.uk are our official videographers for the expo. Spot them capturing the activities of the day as well as the action on the speed learning stage. If you are interested in how video can enhance your business profile or increase your SEO, pop over and ask them for some details. A fab chance for you to refresh your business profile photo. Step into the photo studio and get your photo taken on the day. And find out why having no business profile photo at all, is putting you at a disadvantage! Denise & her Insightful Images’ team will be delighted to advise you on your business website & social media account imagery. Do join their ‘Key images to grow your business’ speed seminar at 1.30. David has been involved in the UK’s innovation incentives for almost 20 years and has built up an enviable level of expertise. He is considered one of the leading experts in the UK’s R&D tax relief regimes. More recently he has been heavily involved in consulting with HMRC and the Treasury on the development of the UK’s Patent Box regime. Formerly a Tax Partner with KPMG, he retired in 2011 to establish Aiglon Consulting. toomanylisas specialises in content creation and social media marketing. Whether it’s help with strategy, copywriting or social media account management, we always focus on getting your business noticed. Reddie & Grose is a firm of patent and trade mark attorneys who advise many start-up businesses on protecting their intellectual property. Love Kingston is a charitable campaign raising money and awareness for a borough wide fund. It supports communities in the Royal Borough of Kingston upon Thames, now and in the future. As well as building a legacy fund and giving grants to local charities to help them with their vital services, we connect those willing to help to those in need. We offer a platform for philanthropy across the whole borough. 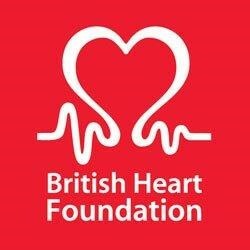 British Heart Foundation, Charity Retailer, looking to recruit Volunteers for a brand new shop in Kingston, opening on 31st July.